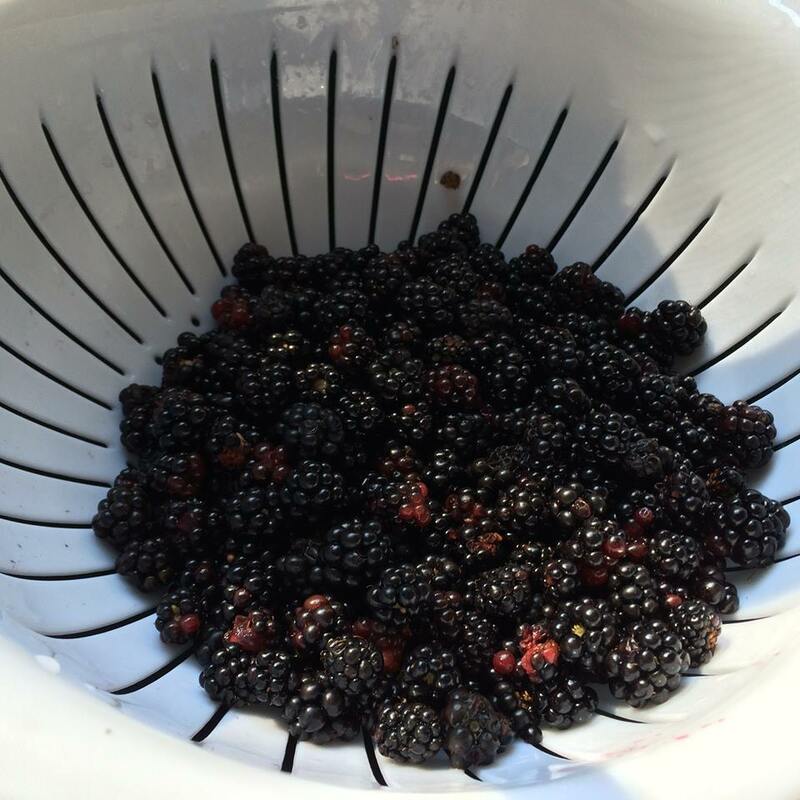 Our new home came with a surprise- blackberries! They’ve finally started to ripen, so I picked every berry I could. While I’d normally save small batches to eat fresh, add to cereal, etc., we are headed up north for a wedding. 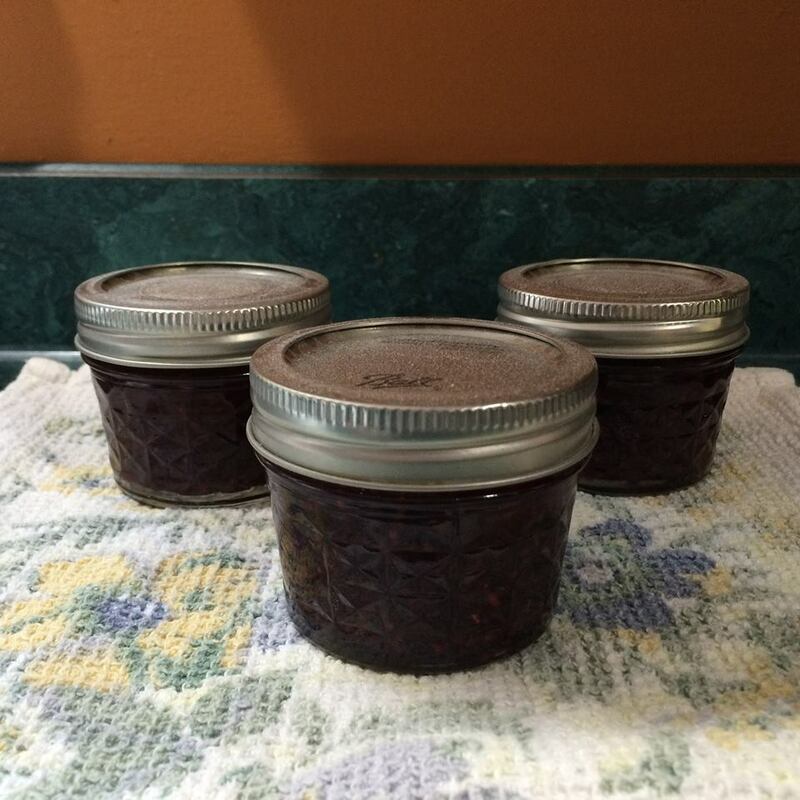 Not wanting to lose the berries, I decided to make a small batch of jam. My recipe is below can be easily modified for the amount of berries you have (use half the sugar as amount of fruit). Add ingredients to large, non-reactive pan. Blend ingredients and bring to a boil. Boil until mixture is greatly reduced and thick (about 5-10 minutes depending on the heat of your stove). Spoon into prepared jars and process in a hot water bath for 10 minutes. Enjoy! Previous postHow dirty is your mat?